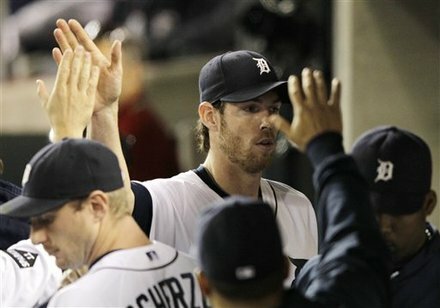 Thanks to Doug Fister's tremendous pitching performance in front of the home crowd in game 3 of the ALCS, the Detroit Tigers defeated the Texas Rangers 5-2 Monday night to make the series 2-1 in favor in Texas. And now it appears we have a series. Most thought that with the Rangers taking the first two games of this series while not having too much trouble with the Tigers pitching staff that they had the clear advantage in this series. But not so fast my friend. Now with the series in a pitching friendly ballpark, the bats will not come as alive and that gives the Tigers the advantage, as they do have the superior pitching. This is proven by Fister's superb performance last night while Colby Lewis for Texas struggled. I'd say that Detroit has the advantage before this series heads back to Arlington. Can Theo Epstein Be the Guy for the Cubs? What is Wrong with the Philadelphia Eagles?